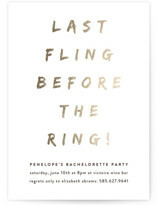 The bachelorette party is a once in a lifetime event. 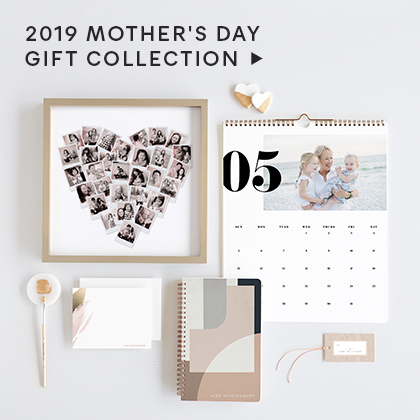 Whether you are planning a big night on the town, or a relaxing spa day it is important to plan an event the bride, and loved ones, will enjoy and remember for years to come. 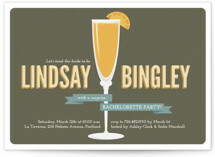 Need help with party planning? 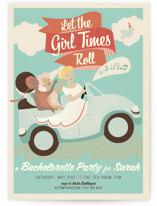 We wrote the perfect bachelorette party planning guideto help you with everything from basics, to themes, to games and even a checklist to assist in keeping your party planning organized. 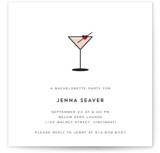 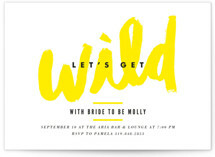 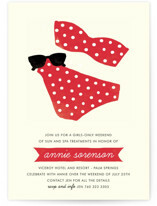 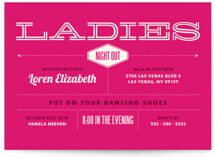 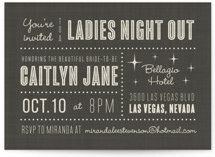 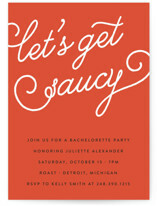 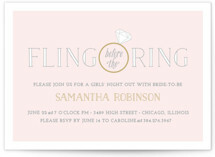 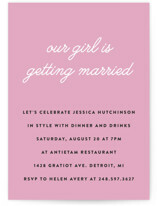 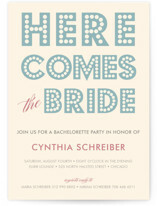 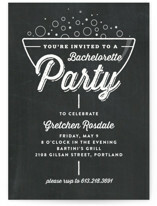 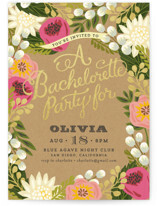 First, you will need bachelorette party invitations to set the tone for this exciting occasion. 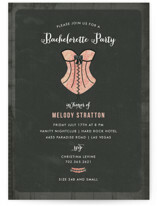 Our bachelorette invitations started as works of art by independent designers and are perfect for any bachelorette party theme. 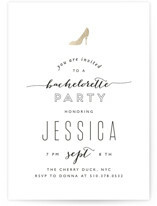 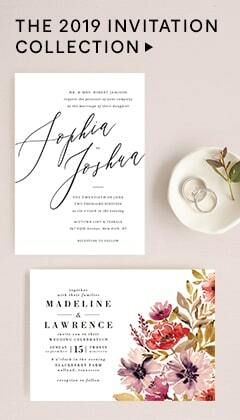 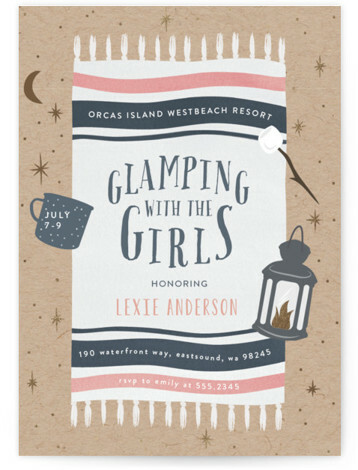 With beautiful designs ranging from fun, to stylish, to chic and sophisticated you cannot go wrong with a bachelorette party invitation from Minted. 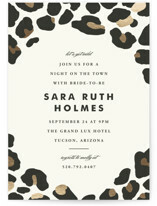 Have a unique bachelorette invite design in mind? 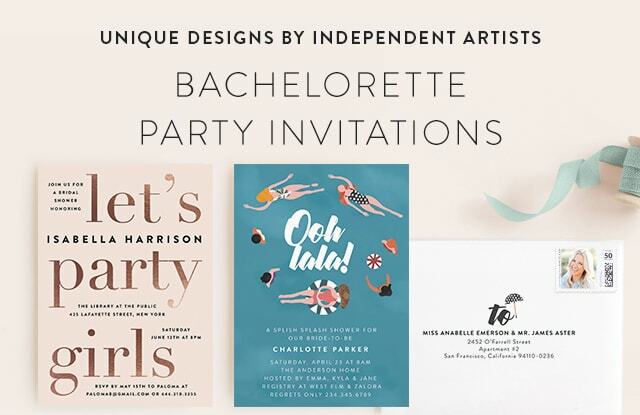 Our dedicated design team is happy to help with any custom needs, simply send us a custom request while personalizing your bachelorette party invites. 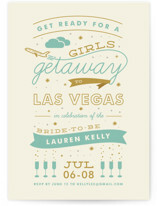 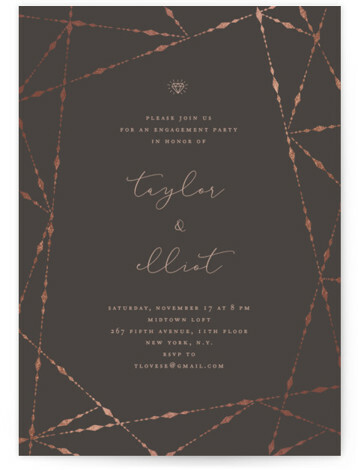 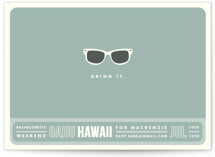 At Minted we go the extra mile to make your custom products everything you imaged. 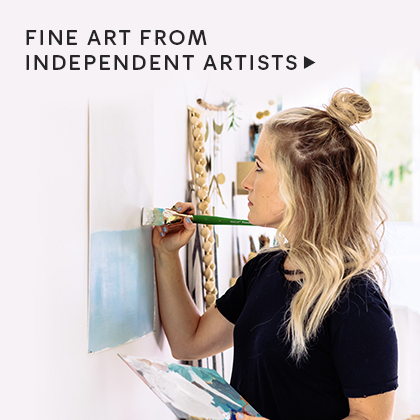 Our paper stock and inks are from the finest sources available and each of our designs starts its life as a work of art from an independent artist. 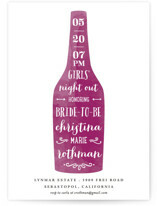 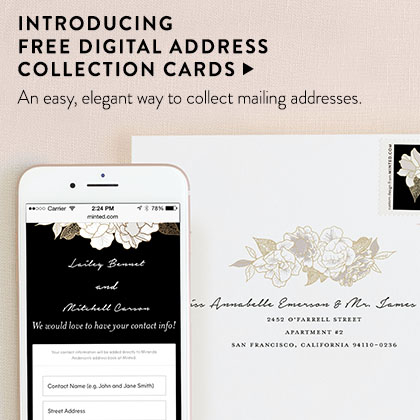 Your dedicated designer can help with all manner of customizations so that you have bachelorette invites that are as unique as the bride, and your guests receive quality they can feel.